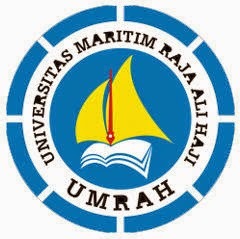 On 27 November, the rector of UMRAH (Universitas Maritim Raja Ali Haji) visited the studio. It was a direct follow-up from the previous visit from the same university to the studio by their students last month, which undoubtedly left such positive impression on them, and it therefore led to the rector of the University himself to set aside his busy schedule to visit our studio and see for himself both of the studio’s animation and film production facilities. Besides seeing the facilities of our studio’s animation and film productions, the visit was also a great opportunity for both the studio and the rector himself to have direct line of communications to gauge potential co-operations that can be forged between the studio, and UMRAH, which is to date, the only government university in Tanjung Pinang, Bintan Island. In the aftermath of the visit, the rector was beaming with pride and joy upon witnessing for himself that one of the largest animation and film studios in Indonesia and the region, was in fact located in Batam, within the Riau Islands Province. There are already plans afoot to kickstart the cooperation with various activities, and it is hoped they can be implemented in the near future. On Tuesday, 17 November 2015, we received a delegation from SMK Darussalam, consisting of four of their teaching staff including the Principal of the school, and also four of their students that they have identified as potentially suitable to undergo internship stints in our studio in the near future. The delegation first arrived in the lobby of the animation side of the studio, and they were given explanation about the animation studio in general, as well as the workflow of our animation production, starting from asset creation, moving toward animation, and then finally to the rendering process. They were also explained that the animation projects are for both 2D and 3D animations. After the brief explanation, they were ushered to view the actual animation work stations where our animators are working on the animation projects. This was followed by the showing of the show reels of the animation and liveshoot productions in the studio. Not also forgetting the showcase of a brief rundown of the aforementioned animation workflow as well in the video form. The visit in the animation studio was followed by the visit to the liveshoot area of the studio. Both the students and the teaching staff were all extremely enthusiastic as they posed for photographs in front of the various props from all the movies and series that have been produced in the studio. They were also very impressed with the sheer size of our sound stages and backlot, and also the realistic portrayals from the sets that have been constructed and in use for the shooting of the current film project that is going on. At the end of the visit, the Principal expressed his gratitude to myself and Mr. Peter Stott for showing them around the facilities of the studio, and he also expressed that he is relishing the chance of cooperating with the studio in greater capacity in the near future.